We are one of the most reputed Tour Operators, long engrossed in bringing forth an exceptional array of services inclusive of Cruise Booking services. 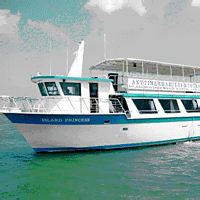 Blue Dolphin Travels, located in Ahmedabad, Gujarat, India, has tie-ups with major cruise lines to make available an appropriate cruise holiday package as per clientsâ�� needs, budget and requirements. We offer various packages to varied parts of the world that too with utmost comfort in terms of luxury. Our genuine and long-lasting association with cruise lines offers us deals that clients cannot find with any service provider. Book your cruise holiday in advance to save last minute hassle. All Rights Reserved. Blue Dolphin Travels.